Speaker: Dr. Tracy Smith: "The Three “Ls” of Life : Listening, Loving, Looking"
Join us for our monthly luncheon, open to all IWIL members and their guests. Registration is $18 per person on or before November 9 and $23 after November 9 or at the door. professional life to providing access and equity to people in vulnerable situations. Tracey has been a major impetus in the partnership between SIU and Springfield-area organizations in creating measurable, long term change throughout our community—from better health to lower crime rates. 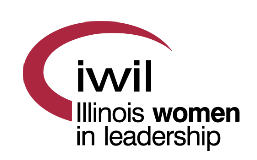 Dr. Tracey Smith will share with IWIL this month, the benefits of the three “Ls” of life, and how when used properly, these three “Ls” can achieve results that have been elusive before. Personal stories will be shared that demonstrate that sometimes all you really have to do is Listen, Love, and Look to find the solutions to problems/struggles. As True North leaders, finding the value in a culture and community that places importance on the three “Ls” can have a major impact. The development of a space that is accepting of this different approach is difficult but worth the fight.